IDS-105GPP-DSFP-XT - Industrial Ethernet Switch with Power Over Ethernet- 5 x 10/100/1000Base-T RJ-45 ports, 4 of which are PoE/PoE+ capable and 2 x 1000BASE-X SFP slot ( empty ). -40 to 75C industrial extended operating temperature. 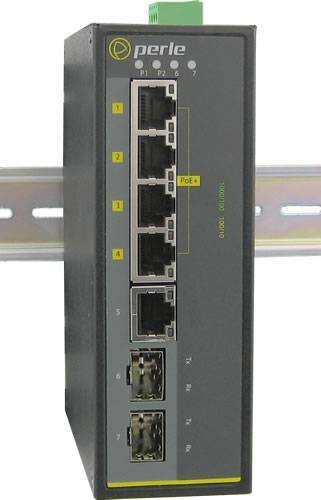 IDS-105GPP-DSFP-XT Industrial PoE Switch. 5 x 10/100/1000Base-T Base-T RJ-45 ports, 4 of which are PoE/PoE+ capable and 2 x 1000BASE-X SFP slot ( empty ). -40 to 75C industrial extended operating temperature.